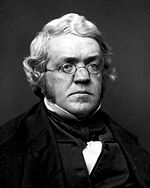 Thackeray an only child was born in Calcutta India where his father Richmond Thackeray (1 September 1781 – 13 September 1815) was secretary to the board of revenue in the British East India Company. " Tragedy struck in his personal life as his wife succumbed to depression after the birth of their third child in 1840. Thackeray is also British comedian Al Murray's great-great-great-grandfather. : /ˈθækəri/ (18 July 1811 – 24 December 1863) was an English novelist of the 19th century. He was famous for his satirical works particularly Vanity Fair a panoramic portrait of English society.